Welcome to Ubiquitous Robots 2019 in Jeju! Robotics is the ultimate interdisciplinary field, and Ubiquitous Robots invites contributions from the entire foundational spectrum—design, perception, manipulation, interfaces, mobility, intelligence—and application domains— industrial, social, transportation, medical, rehabilitation, healthcare, agriculture, construction, security, disaster, and many others. Ubiquitous Robots 2019 promises to be an exciting and innovative event, with plenary and invited talks, oral presentation, posters, and workshops. We invite you to submit your latest work to Ubiquitous Robots 2019, and to come experience the myriad attractions of Jeju. The promise of oceanic discovery has intrigued scientists and explorers, whether to study underwater ecology and climate change, or to uncover natural resources and historic secrets buried deep at archaeological sites. This quest to explore the oceans requires expert human access, but much of the oceans is inaccessible to humans. Reaching these depths is imperative for understanding the ecology, maintaining and repairing underwater structures, and working in archaeological sites over this immensely unknown part of our planet. This challenge demands human‐level abilities at depths where humans cannot or should not be. Ocean One was conceived to create a robotic diver with a high degree of autonomy for physical interaction with the environment while connected to a human expert through an intuitive interface. The human expert instructs the robot through high‐level cognitive guidance and can intervene at any level of the operation through a high‐bandwidth sensory‐rich visual and haptic interface. The robot was deployed in an expedition in the Mediterranean to Louis XIV’s flagship Lune, lying off the coast of Toulon at ninety‐one meters. Ocean One’s demonstrated‐ability to distance humans physically from dangerous and unreachable spaces while connecting their skills, intuition, and experience to the task promises to fundamentally alter remote work. Ocean One’s achievement has shown how human‐robot collaboration induced synergy can expand our abilities to reach new resources, build and maintain infrastructure, and perform disaster prevention and recovery operations ‐ be it deep in oceans and mines, at mountain tops, or in space. Oussama Khatib received his PhD from Sup’Aero, Toulouse, France, in 1980. He is Professor of Computer Science and Director of the Robotics Laboratory at Stanford University. His research focuses on methodologies and technologies in human‐centered robotics. He is a Fellow of IEEE, Co‐Editor of the Springer Tracts in Advanced Robotics (STAR) series, and the Springer Handbook of Robotics. 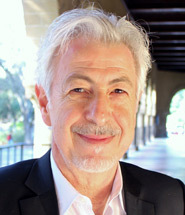 Professor Khatib is the President of the International Foundation of Robotics Research (IFRR). He is recipient of the IEEE RAS Pioneer Award, the George Saridis Leadership Award, the Distinguished Service Award, the Japan Robot Association (JARA) Award, the Rudolf Kalman Award, and the IEEE Technical Field Award. In 2018, Professor Khatib was elected to the National Academy of Engineering. Social robots are coming to appear in our daily lives. Yet, it is not as easy as one might imagine. We developed a human-like social robot, Robovie, and studied the way to make it serve for people in public space, such as a shopping mall. On the technical side, we developed a human- tracking sensor network, which enables us to robustly identify locations of pedestrians. Given that the robot was able to understand pedestrian behaviors, we studied various human-robot interaction. We faced with many of difficulties. For instance, the robot failed to initiate interaction with a person, and it failed to coordinate with environments, like causing a congestion around it. Toward these problems, we have modeled various human interaction. Such models enabled the robot to better serve for individuals, and also enabled it to understand people's crowd behavior, like congestion around the robot. I plan to talk about a couple of studies in this line, and some of successful services provided by the social robot in the shopping mall, hoping to provide an insight about what the social robots in public space in a near future will be. 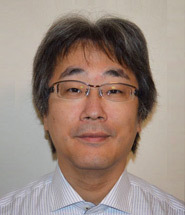 Takayuki Kanda is a professor in Informatics at Kyoto University, Japan. He is also a Visiting Group Leader at ATR Intelligent Robotics and Communication Laboratories, Kyoto, Japan. He received his B. Eng, M. Eng, and Ph. D. degrees in computer science from Kyoto University, Kyoto, Japan, in 1998, 2000, and 2003, respectively. He is one of the starting members of Communication Robots project at ATR. He has developed a communication robot, Robovie, and applied it in daily situations, such as peer-tutor at elementary school and a museum exhibit guide. His research interests include human-robot interaction, interactive humanoid robots, and field trials. Copyright © "Ubiquitous Robots 2019".